By far the largest and without a doubt the coolest rolling tray ever; Brought to you by RAW of course. Massive metal tray with curved edges to hold all your tobacco while you roll some smokes up and a raised ridge on the top to keep papers from sliding about. 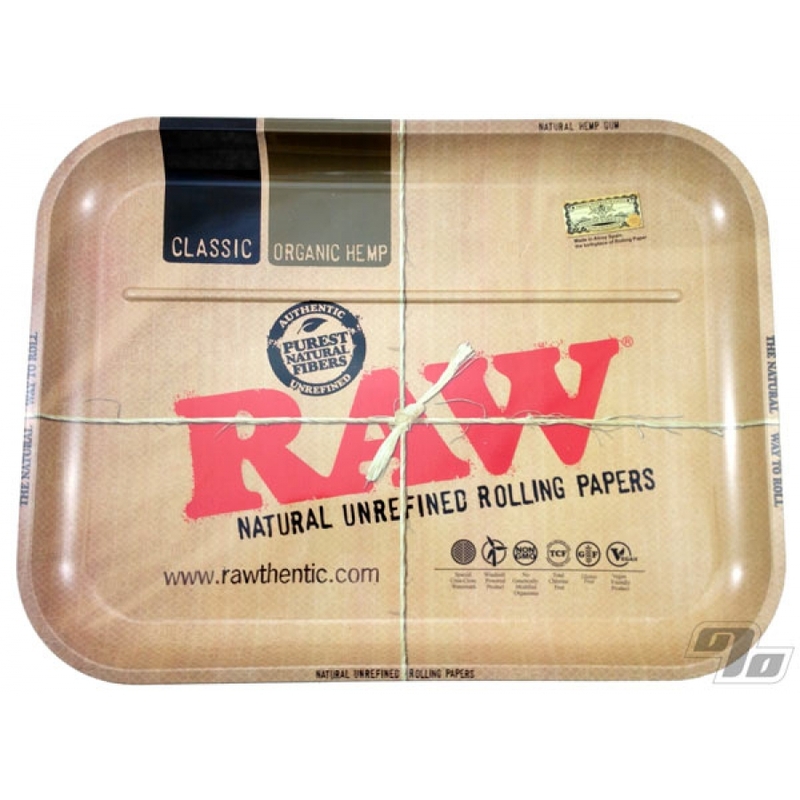 The RAW XXL Rolling Tray is super sized @ 20 x 15 inches. A must have instant classic for every true high roller. Wonderful product!!! Excellent service. Product shipped almost immediately. Tray is great. Solid quality. The one thing I really like about it is that it's well manufactured - when I put it on my table, it doesn't flip flop or wobble - that's a bonus.